Well, oSC13 has come and gone and what a great event to look back on. Starting with the pre-registration party on Thursday night all the way to the end on Monday the program was jam packed with interesting talks and workshops. All sessions were well attended and some were hopelessly over flowing. The millions of thank you’s directed toward Kostas and Stella, the driving forces for the organization, are probably not enough. In addition to having a great event we also had the opportunity to learn a lot about what it takes to pull off oSC. Until oSC13 a lot of knowledge about the oSC organization was locked up within SUSE as the primary driving force of the conference organization in previous years. The “locking up” of information was just something that happened due to the nature of the organization of previous conferences. Information inside companies just gets lost, that’s the nature of the beast and this is certainly not intentional. Additionally, at least for me, having the community organized event this year made me think more about what it takes to pull off the organization. I guess with SUSE standing behind the event not just as a sponsor, but also as the lead organizer, it somewhat made the individuals that worked on the organization anonymous. We certainly had great conferences previously and many of us like to think back and reminisce about previous events when we meet. Another point is probably that one thinks that many more resources are brought to bare when a company is behind the organization of an event, although that is not necessarily the case. Having the community drive the organization for oSC13 is just a completely different feeling, and I think I am not alone with this sentiment. The people that were involved in the organization of previous conferences were always happy to help and share information, and some were intimately involved in pulling things together, thank you. The knowledge accumulated will certainly spread through the community and a number of meetings and many discussions at oSC13 started this process already. During the live project meeting, a.k.a. Town Hall meeting, it was my pleasure to announce that oSC14 will take place in Dubrovnik in April 2014. Svebor, the lead for the oSC14 organization endured a number of brain dumps and got bombarded with ideas and suggestions. This conference paves the way for oSC to grow as a community organized event and I know that Stella and Kostas had to swallow more lumps, as the prime movers, than others in the future will have to. Thank you. This week, we have team member Jos Poortvliet talk about what he’s been working on in the merchandising area. The 18th of July the openSUSE Conference 2013 will kick off in Thessaloniki. 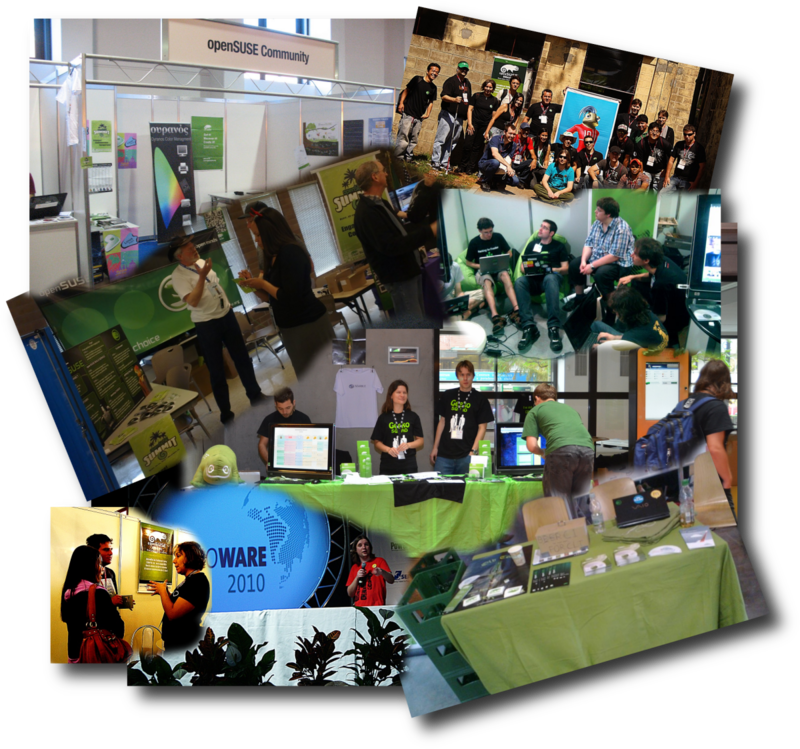 As always there will be many talks about the technologies on which the openSUSE distribution is build as well as workshops where one can learn further tricks. However, the conference also provides an opportunity to talk about the project itself. There will be a Project Meeting, various sessions on the Ambassador program and many development teams will meet and discuss their work.